The actual film consisted of an entire pan of the wall. My old partner KI-ONE manned the camera. 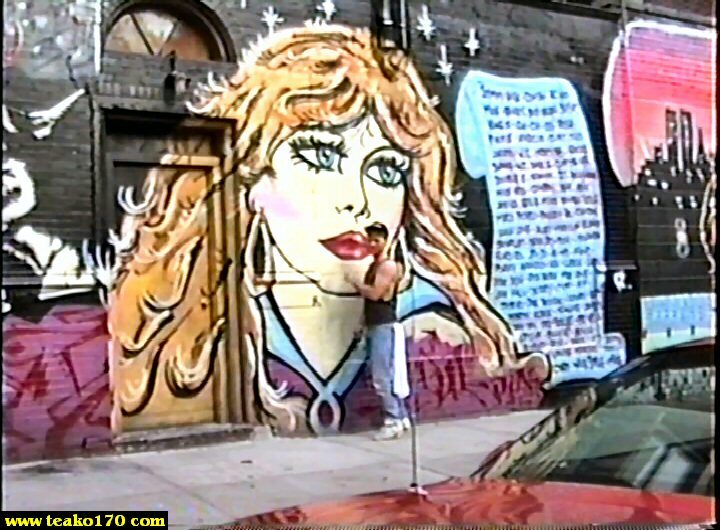 Check out the entire mural, including the Bronson image, (which is to the right of the girl) over at Tracy's homepage.